It’s a good day to be a fan of DC Comics and Vertigo’s occult heroes and anti-heroes, thanks to a brand new update on the long-in-development Justice League Dark movie. The news had slowed since writer/director Guillermo Del Toro confirmed that he would no longer be taking the helm of the film for Warner Bros./New Line, but it seems that hasn’t kept the studio from pushing forward. A new report claims that the studio has entrusted the film to producer Scott Rudin, who is already moving forward in finalizing the script and seeking meetings with potential directors. As if that wasn’t enough, the studio is apparently looking to move into production on the movie in 2016, adding a supernatural branch to the DC Extended Universe set to be launched by Batman V Superman and Suicide Squad. While the film’s plot has generally been kept under lock and key, we’re hearing that it involves a series of ancient tomes stolen by a madman hellbent on the destruction of humanity. When he learns of this, occult detective John Constantine seeks out a group of heroes that specialize in the mystic and arcane in order to save the world. Hopefully more details on the proposed changes to Del Toro’s script—if there are any—will be coming if this report is true, but given WB and DC’s emphasis on giving directors creative control of their shared universe movies, an announcement of a signed director may come sooner rather than later. And for those fans looking to get their hopes up, Rudin’s involvement should get some intriguing wheels a-turning. No producer enjoys as lengthy a career as Rudin without crossing paths with talents both towering and temporary, but his frequent collaborations with the likes of Alex Garland (Dredd), David Fincher (Gone Girl), and other Oscar-winning writers and directors will give fans plenty to debate and imagine over the coming weeks. Especially when the larger question becomes: with Joseph Gordon-Levitt tackling Vertigo’s Sandman, will Warner Bros. seek a similar talent to turn Justice League Dark into something unexpected? We’ll keep you up to date as confirmation or more details arrive, but for now, do you think DC and Warner Bros. have made the right call in pushing ahead with JLD alongside their Justice League counterparts? 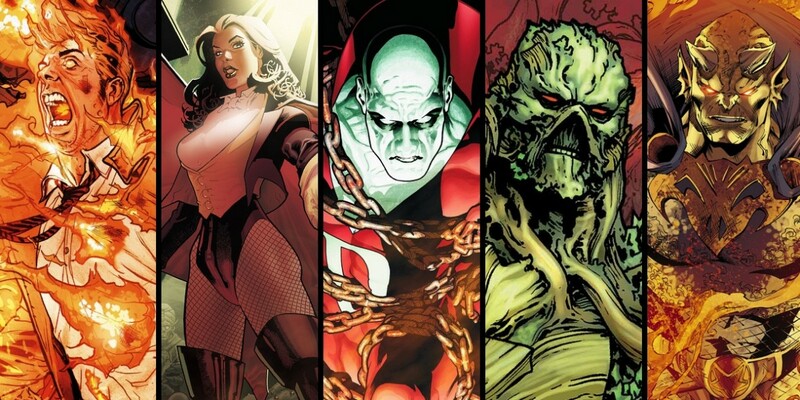 Justice League Dark is apparently set to begin production in 2016 with no current release date. Batman V Superman: Dawn of Justice opens on March 25th, 2016; Suicide Squad on August 5th, 2016; Wonder Woman on June 23rd, 2017; Justice League on November 17th, 2017; The Flash on March 23rd, 2018; Aquaman on July 27th, 2018; Shazam on April 5th, 2019; Justice League 2 on June 14th, 2019; Cyborg on April 3rd, 2020; Green Lantern Corps on June 19th, 2020. Untitled Batman and Superman solo films will be coming at dates TBD.